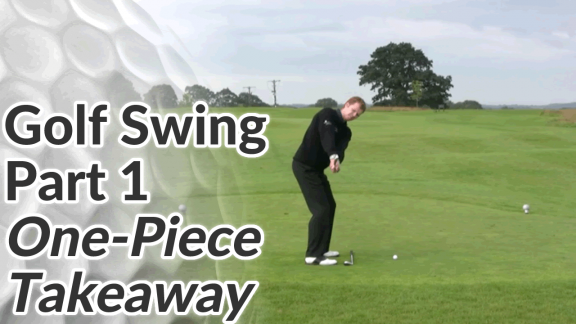 Here’s another very simple but very useful golf drill to help you with the one piece takeaway. I use a range basket in the video below but you could just as easily use a basketball or beach ball. 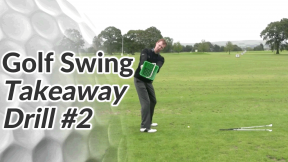 By the way, please use this drill and the other takeaway drills at the bottom of this page alongside the takeaway fundamentals video. 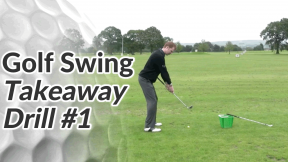 In that video, I explain a couple of important checkpoints that you can measure yourself against to make sure your swing is starting off on the best possible path. 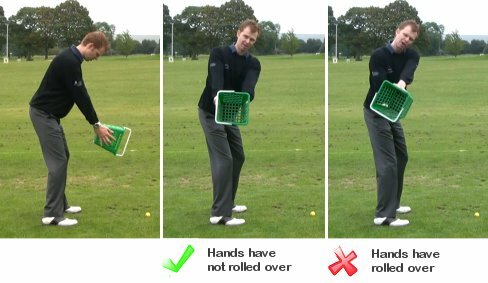 Holding a range basket, take your normal set up over the ball. Go ahead and make a one piece turn until the basket is about hip height. There should be no twisting or rotating of the basket as your take it away. If you were to look in a mirror facing down the line of your target, you’d be able to see right inside the basket. You can also do this drill with a basketball or beach ball.